Been a little while since we brought some fresh news about the ever frantic sneaker scene. Check out a quick wrap up of on-goings in the community that have occurred recently and what you have to look forward to. Undoubtedly one of the leading premium shoe cleaners in the game, opened up its door this past Saturday in the middle of the iconic Carnaby Street in conjunction with the ever-popular retailer Size?. The store offers a variety of cleaning tailored to every material on the market, ensuring nothing but quality in the safe hands of their cleaning team. Having a quick glance at my collection, I will definitely be dropping off some pairs very soon. Recently my insta feed has been popping up with previews of a new sneaker discussion known as “The Panel”. Without saying too much, it’s clear to see enthusiasts and knowledgeable individuals have fused together to create a conversation about views and topics with the community. Needless to say London’s street culture is continuously developing and personally, its great to see people with genuine passion collaborating to elevate the scene further. 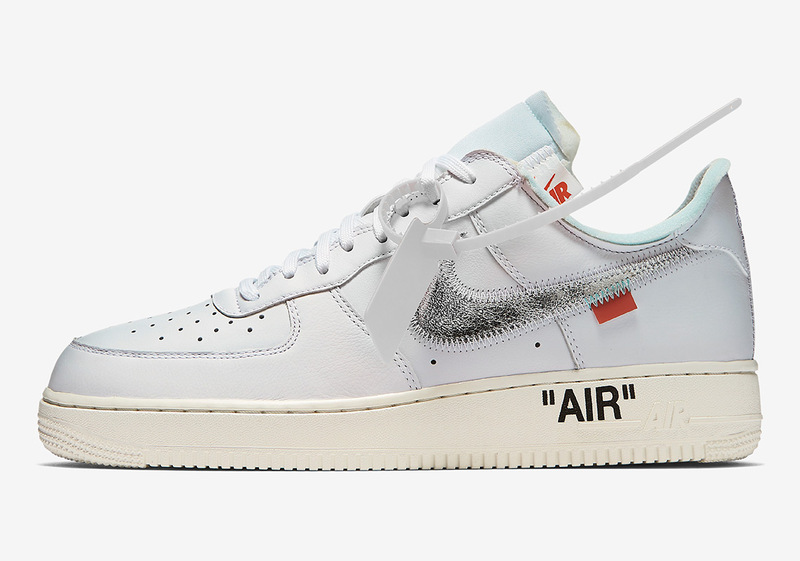 Virgil Abloh is looking to maintain the hype shortly after the release of the Off-White x Jordan 1 White and it looks like another colourway will be dropping shortly. According to the @PY_Rates IG account, the new drop draws inspiration from Jordan’s college of the University of North Carolina, better known as UNC. Relating to the IG post, the pair are rumoured to drop May 2018 for a price of $190 USD. Are you feeling this colourway? Let us know your thoughts. Alongside this, a new Air Force 1 has surfaced combining the two brands, which is set to release as a ComplexCon exclusive, similar to that of last year. Thoughts on the pair below? For a full recap on what’s appearing Air Max Day, hit up my previous post here, however just a quick update on how to get your hands on some of the most sought after releases. Backdoor, backdoor, backdoor! A phrase that is thrown about in the current sneaker scene, relating to retailers assuring pairs for their friends and market influencers leaving the majority empty handed. Offspring are attempting to make it clear that they are combating this, as well as reselling through a series of posts on their instagram. Besides all the drama, they have called out all Air Max fans to give them the opportunity to strut their passion by bidding to get their hands on the anticipated Air max 95 Atmos by posting a picture of your Air Max collection. I like it, give the opportunities to the real fans who appreciate the craftsmanship but let us know your thoughts? The most anticipated however, are the Sean Weatherspoon AM97’s and everyone is waiting on the methods and stockist to try get their hands on a pair. Early news suggest, Size? will have stock through a picture taken outside of their Nottingham store (below). Although nothing is confirmed, the excitement is building!